Grew up with Estudiantes Madrid (Spain) juniors. Made his debut with Estudiantes Madrid during the 2004-05 season. Signed for the 2006-07 season by Portland Trail Blazers. Played thee till the 2008-09 championship. Signed for the 2009-10 season by Sacramento Kings. On February'10, signed by New York Knicks. Back to Spain for the 2010-11 season, signed by Real Madrid CF. Signed for the 2016-17 season by Philadelphia 76ers. Moved to Russia for the 2017-18 season, signed by CSKA Moscow. Named to the 2013-14 All-EuroLeague First Team. 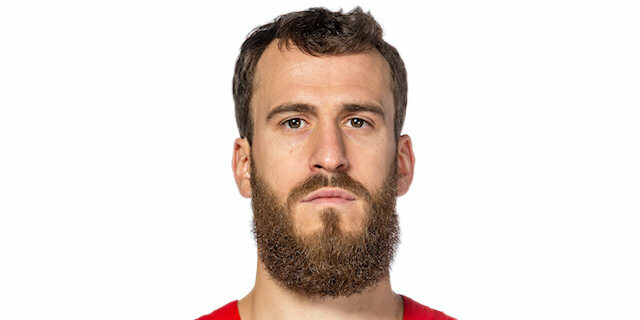 Named 2017-18 EuroLeague Playoffs Game 2 MVP. Won the gold medal a the 2015 European Championship. Won the bronze medal at the 2013 and 2017 European Championships. Won the 2012-13, 2014-15 and 2015-16 Spanish National Championship with Real Madrid CF. Won the 2012, 2014, 2015 and 2016 Spanish National Cup with Real Madrid CF. Won the 2018 VTB League with CSKA Moscow. Named the 2013 Spanish Super Cup MVP. Led the 2013-14 and 2015-16 Spanish League in assists (5.8 apg., 5.1 apg.). Won the gold medal at the 2004 European U-18 Championship. Named the 2004 European U-18 Championship MVP. Named to the All-2004 European U-18 Championship 1st Team. Led the 2004 European U-18 Championship in assist (8.5 apg.). Selected for he 2004 Nike Hoop Summit in the World Selection.